Pepperwood Preserve, a California Naturalist program partner since the very first pilot course, manages the 3,200-acre nature preserve located in the heart of a globally-recognized biodiversity hotspot. The preserve is an important refuge for over 750 varieties of native plants and 150 species of wildlife including birds, reptiles, and mammals representing California's diverse climates. See their impressive "Vital Signs" iNaturalist project here. All field excursions will take place at Pepperwood Preserve. Each attendee may choose one field excursion from the list, #2-7, included in the cost of registration. You will also have an opportunity select your second choice in case your first is full. Be sure to register early to get your first choice! 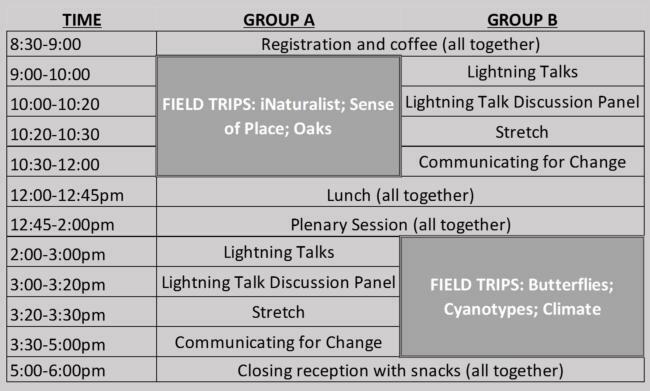 Field excursions are scheduled before and after lunch and plenary talks (denoted AM/PM below). Those that choose a morning excursion will attend the afternoon lightning talks, those that choose an afternoon excursion will attend the morning lightning talks. The bird walk, #1, is an additional early morning offering and costs an extra $10. Please contact Brook Gamble, phone: 707-744-1424 x108 with further questions. 1. Early morning bird walk and behavior with Clayton Anderson (FULL). This is the only optional $10 add-on to the rest of the day's included field excursions. (7AM, 20 maximum participants). birds you may observe. No experience necessary, please bring binoculars if you have them. Leaders: Clayton Anderson is a lifelong naturalist and a master birder. 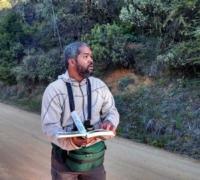 He currently works as an environmental educator, and serves on the boards of the Golden Gate Audubon Society and the Insect Sciences Museum of California. Carolyn Greene is a Cal Naturalist grad (Pepperwood/SRJC Class of 2016) and long-time bird nerd. 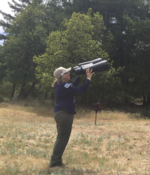 She has conducted point count and transect surveys at Pepperwood, Audubon Canyon Ranch, San Pablo Baylands, Sonoma County Parks, Land Paths, the U.S. Navy and for the National Park Service. Join Ken-ichi for this walk and build your naturalist and iNaturalist skill set. Bring your smart phone along and learn how to make logging observations second nature, and find out what to do if you don’t know what you are looking at and would like to learn from others. Participants should install the iNaturalist app onto their smart phones and sign up for an iNaturalist account before arrival. If you don't have a smart phone or don't want to use one, that's ok too! Ken-ichi will go over how to add observations, discuss techniques for taking photos for identification, provide tips on digital photography for natural history, and much more. Leader: Ken-ichi Ueda, one of the original co-founders and current co-director of iNaturalist, is not just a computer nerd -- he is an avid naturalist. This is a special opportunity to follow up with our keynote speaker in the ecosystem he knows intimately both as a naturalist and superb climate data analyst. Pepperwood offers a world of microclimates influencing what you see where. Stu Weiss will open your eyes to how plants and animals experience climate and how different their experience is from one spot to another at Pepperwood. California Naturalist Dave Andersen will be along to share his experience with collecting climate data at Pepperwood and share his love of instrumentation. With climate change here to stay learn how we monitor climate change, examine how microclimates influence what you see in the field and how ecosystems are responding. Leader: In addition to being an experienced naturalist studying California ecosystems, Stu Weiss has authored numerous scientific papers concerning climate change and the importance of microclimates. 4. The Oaks of Pepperwood with Steven Barnhart (AM, 25 maximum participants). Pepperwood Preserve has a rich diversity of oak species and hybrids found within a variety of vegetation types (chaparral, oak woodland, mixed evergreen forest). This is a great opportunity to identify oaks, learn more about their biology, ecology and genetics of this exceptionally diverse group. Oak vegetation management issues will also be discussed. California Naturalist Prahlada Papper, who is studying oak genetic relationships at UC Berkeley, will share his work on California oaks in a changing climate. 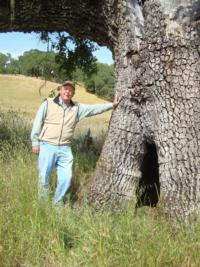 Leader: Steven Barnhart is an expert on California oaks. 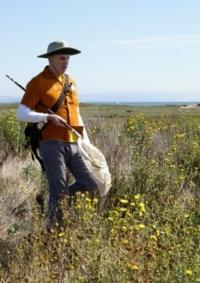 Steve instructed for 37 years at Santa Rosa Junior College in biology, botany, and ecology; and was part of the first California Naturalist instructor team! 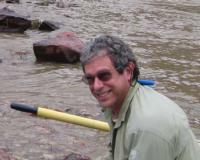 He has conducted numerous field courses over the past 25 years at Pepperwood, as well as in the Sierra and Great Basin. Enter a time machine with historical ecologist Arthur Dawson and deepen your connection to the Mayacamas Mountains. Really knowing a place requires understanding both its natural history and the human story which has played out there. Cultures are deeply influenced by the places they inhabit. Likewise, the landscape of the Mayacamas and Pepperwood Preserve bears the imprint of the peoples who have made this region their home. Join historical ecologist Arthur Dawson as he shares some of the practices and philosophies that informed First Peoples’ relationship with the land, explores how the landscape responded, and connects modern conditions with the cultural shifts of the last two centuries. Leader: Arthur Dawson is a recognized expert on regional history and historical ecology. He has published several books on these subjects, including a local bestseller; been a guest lecturer at UC Davis and several California state universities, and is certified by the state of California as a Historical Consultant. 6. 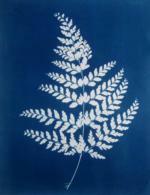 Cyanotype Workshop with Jessica Layton (PM, 20 maximum participants) $10 materials fee. Cyanotypes are one of the earliest forms of photography, distinct for their Prussian blue monochrome color. Students will learn how to apply light-sensitive emulsion onto paper and make contact prints of items found at Pepperwood Preserve. The process is easy to learn, ideal for experimentation, and can be done using daylight. No experience needed. 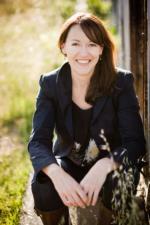 Leader: Jessica Layton is an internationally exhibited photographer. In 2007, she was awarded the European Leica Prix. She currently teaches Photography at the Santa Rosa Junior College. If butterflies capture your imagination then this is the walk for you. 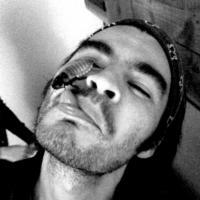 Liam is known for his engaging street theater style and all things butterfly! He'll show you many party tricks to unlock butterfly behavior and open your eyes to the life and times of butterflies. This is a wonderful opportunity to learn how to best observe and study butterflies and become a life-long butterfly enthusiast from one of the best. Check out the Pepperwood iNaturalist project to get an idea of what species you might observe. Leader: A Lepidopterist & Illustrator, Liam O'Brien has worked for the last few decades conserving Butterfly populations throughout the Bay Area. He created The Green Hairstreak Project in the City of San Francisco, worked side by side with the Natural Areas Program/SF Rec & Parks for the last 10 years on the Endangered Mission Blue ( photo of relocation day - I'm in the red jacket ) and most recently launched OPERATION CHECKERSPOT for the Presidio Trust. He also paints Trail Signs for the City of San Francisco.